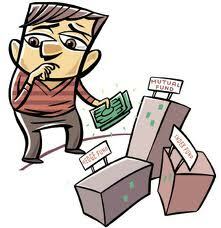 Mutual Fund investments are one of the main investment options of a retail / normal investor. Like any other investment product this have it's own pros and cons. Here we are trying to come up with a list of key points to love or hate mutual funds. Mutual funds in India are regulated by SEBI. This forces the mutual fund company's to be transparent to people. That's why they disclose the offer document which consists of the fees details, entry and exit load details as well as the style and risk of investments. Mutual funds are typically liquid investments unless a pre specified lock in period is mentioned. Usually funds take a couple of days to refund the money, once we liquidate the investments. As they always is linked with a banking account, usually it will be credited directly to your bank account, or else it will be an account payee check. If a citizen have a bank account and PAN number you can start investing in Mutual funds. Only thing is fill the form and issue a cheque for your investment. The cost of asset management is low as they are dealing with a very large pool of money. The charges comes around 1 to 2 % per year for equity investments. Previously there were entry loads for mutual funds which are removed by SEBI now. When compared different mutual fund managers, not every one is above average. Some are comparable only to a non professional who charges fees for his lossy work So one need to study their fund manager before choosing a fund. Unlike you picking your stocks, you are becoming a passenger of an investment bus. Your only option is to just sit and decide when to jump out of it. The speed and stops of the bus will be decided by the fund manager. They will appear to be zero entry load investments. But in reality they charge you for every transaction they do plus the fund management charges. The sales man tend to not make it clear to the clients. And this will be hidden deep in the offer document which normal clients tend to skip reading. Please do share your comments.